Noticing your part getting wider? Filling the shower drain with hair? Or brushing out clumps of locks? One of the worst things a woman can go through is losing her hair. Hair is an expression of our personality, beauty, and confidence. 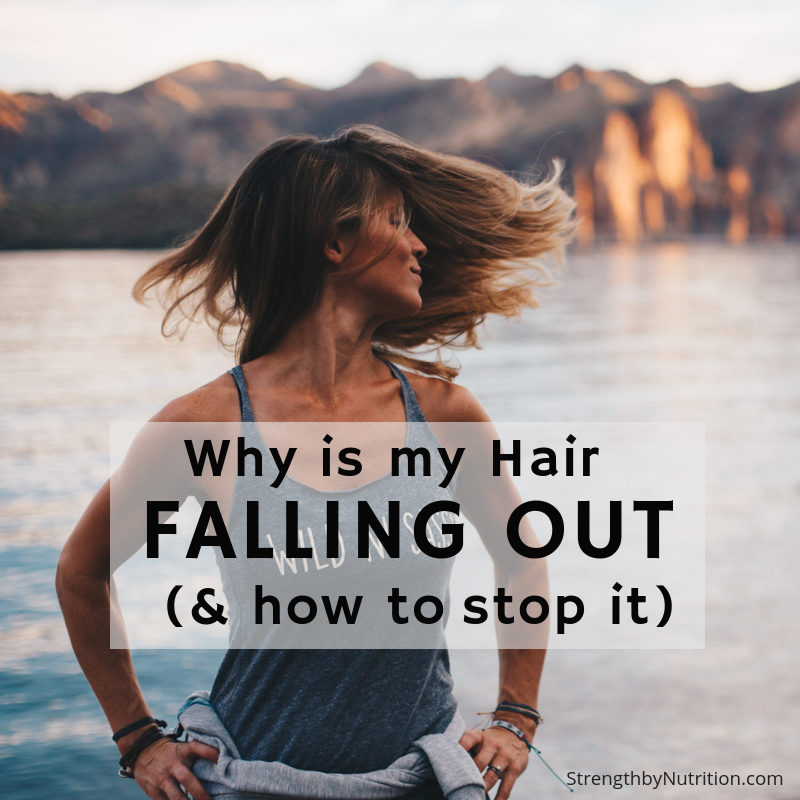 Therefor, if you notice accelerated hair loss, you’ll want to get it figured out fast. Hair loss may be a sign of a deeper hormonal imbalances that render a trip to the doctor. From these tests, one can help rule out the causes of hair loss. Heavy metal toxicity (teeth fillings, eating non-organic rice, or a career as a welder could all lead to toxicity and hair loss). While you wait to get your blood tests back from your doctor, there are some natural remedies and supplements available to help with hair loss and regrow those precious locks. Chia Seeds / Walnuts – high in omega-3s and help to decrease inflammation. Sleep 8 hrs per night by allowing for 1 hour of wind-down time before bed. Above all, we hope that you find genuine support during this tough time. Consider a Functional Medicine or Integrative doctor. If you are in need of a trusting coach who gets it, don’t hesitate to reach out to us. Good luck!